At Executive Loan Service, we work closely with every client in order to walk them through the entire loan process. Getting a jewelry loan with Executive Loan Service of Sarasota is a very simple process. •	There's no credit check or intensive underwriting process! 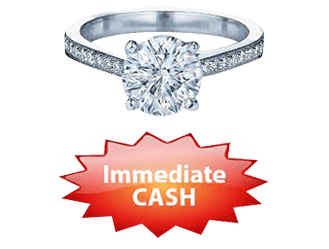 •	We give you jewelry loan options and your cash on the spot! We also offer the option of buying your jewelry based on its true value. After you've paid back your loan, you get your jewelry back. That's it. Fast. Simple. And the terms are always fair! No other jewelry loan lender in Sarasota will lend you more and charge you less! Email, or give us a call 941-951-6060 anytime at Executive Loan Service. Or visit our office in the Northern Trust building in beautiful downtown Sarasota at 1515 Ringling Blvd. Suite 980.